Niamh is a beautiful female Chinchilla at approximately 7 years old. When Niamh arrived at the sanctuary with her partner and son she was incredibly stressed. Her coat was very scruffy, she was underweight and very scared. Niamh has been with us for around 2 months now, and finally her coat is looking like a proper chinchilla coat! She has come on leaps and bounds in regards to her behavior, showing us she can be quite a cheeky chinchie! She loves her soft hides to snuggle into and sleep in, and enjoys running about stretching her legs in a safe secure area. She enjoys little treats such as raisins, which are given to her in moderation. Niamh loves eating her fresh hay which is topped up daily, alongside her measured amount of pellets. 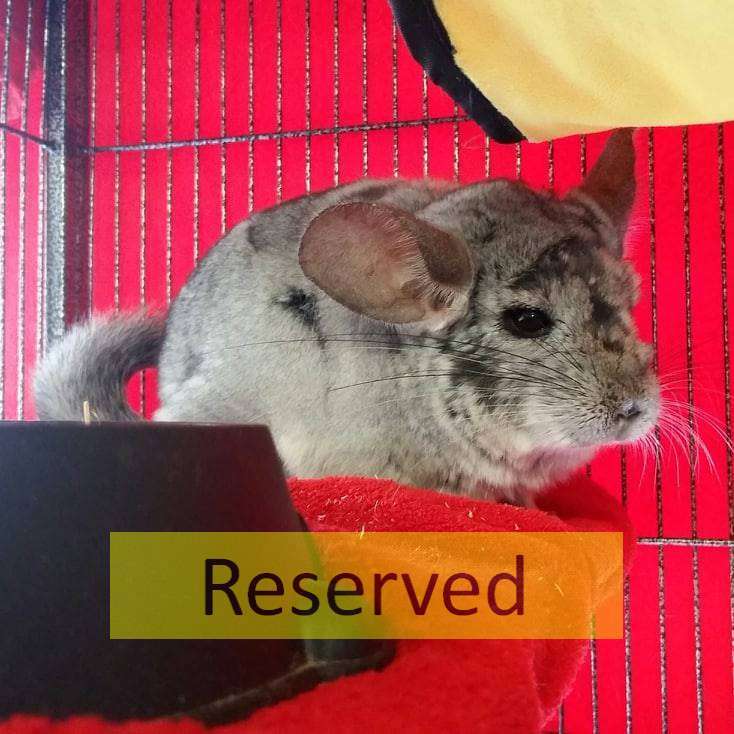 We would love for Niamh to have a female chinchilla friend, as she does get quite lonely. A good sized area is required to ensure she has the space to run and jump around as she pleases. Niamh isn’t fussed on being handled or petted and can get stressed very easily, because of this she is only ever handled for her weight and health checks. If you think you have the home for Niamh with a female companion, please call up to the sanctuary, speak to the staff and fill out an application form!